Tsutomu Yamaguchi died from stomach cancer. The cancer part perhaps isn’t surprising given that Yamaguchi is currently the only person officially recognized by the Japanese government as having lived through the atomic bombings of both Hiroshima and Nagasaki. (Note: There were actually well over a 100 or so others as well, perhaps as many as 165; they just have never been officially recognized by the Japanese government to date.) What is surprising, given that history, is that Yamaguchi avoided the disease for so long, not dying until January 4, 2010, at the age of 93. At the age of 29, Yamaguchi was on his way back home from a three month long business trip to Hiroshima on August 6, 1945. At the time, he was an engineer for Mitsubishi Heavy Industries- specifically, working as an oil tanker designer. On his way to the train station to head back to his home in Nagasaki, he noticed he’d forgotten his travel permit and went back to get it while his colleagues, Akira Iwanaga and Kuniyoshi Sato, went on. He picked up his pass and was on his way back to the station when, at 8:15 a.m., he saw a bomber flying over the city and “two small parachutes”, then a rush of blinding light, sound, wind, and heat knocked him to the ground. Mr. Yamaguchi had the misfortune of being approximately 3 km from a nuclear blast. The immediate effects of this were his ear drums rupturing, temporarily blindness, and burns over much of his upper body. Both bombs exploded near the city centers and both, interestingly enough, were just about 3 kilometers away from Tsutomu’s position at the time. Despite this explosion being slightly more powerful than the one at Hiroshima (21 kilotons vs. 16 kilotons at Hiroshima), thanks to the city’s uneven terrain and the fact that many parts of the city were divided by water, which prevented the extensive fire damage that happened in Hiroshima, there wasn’t nearly the amount of overall infrastructure damage. Yamaguchi himself experienced no immediate injury from this second explosion, though of course was exposed to another high dose of ionizing radiation and medical supplies to treat his existing burns were now in short supply. Interestingly, Yamaguchi almost didn’t have to go through this ordeal twice. Nagasaki was not the original target for the second nuke- that was the city of Kokura. However, thanks to a cloud covering Kokura when the bomber arrived, they had to divert to a secondary target, Nagasaki, as the mission stipulated that they were not to drop the bomb unless they had a visual of the target. When the bomber arrived at Nagasaki, they also found significant cloud cover, but because they were low on fuel, it was not possible to divert to another target, so they made their run anyways, despite their orders. When they got close, just before releasing, they did have a brief visual to confirm their location before dropping the bomb. Had they had more fuel or there not been a cloud cover over Kokura, Yamaguchi and a not insignificant portion of the Japanese population would have had their lives drastically changed, some for the good and some for the bad. Surprisingly, unlike so many others who experienced even just one of the blasts, Yamaguchi went on to live a long and productive life with the only major permanent physical health problem as the result of the bombings being the loss of hearing in his left ear, though the burns took some time to heal; he temporarily lost all his hair; and he experienced a great deal of psychological trauma, as one might expect. He and his wife, Hisako, even went on to have children, who all turned out perfectly healthy, which at least at the time, not so much today, was thought to be something of a miracle considering both parents had been exposed to such high levels of ionizing radiation. Yamaguchi’s wife lived to 88, dying of kidney and liver cancer. Yamaguchi himself lived to the ripe old age of 93 years old and for most of his life made little mention of the fact that he’d been present at both bombings. He initially just registered as a survivor of Nagasaki. According to one of his daughters, his reasoning for downplaying this, and not registering as a survivor of Hiroshima as well, was his robust health through most of his life. He felt it would be disrespectful to the many thousands who were not so lucky, health-wise. Once in his 80’s, he changed his stance, breaking his silence on the matter and officially applying for recognition as a survivor of both blasts, which was granted by the Japanese government in 2009, shortly before his death. He then dedicated the rest of his life to campaigning for the disarmament of nuclear weapons from all nations. He even wrote a book outlining his experience, which included many poems he wrote about the event (Raft of Corpses). 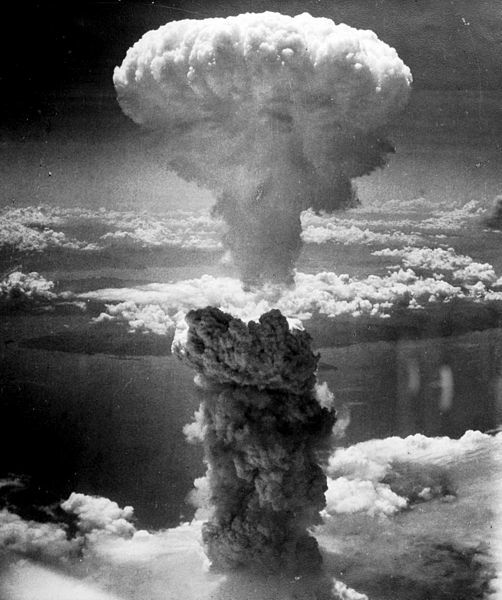 The bomb that hit Nagasaki was called “Fat Man”, many claim named after Winston Churchill. This claim has been debunked by none other than the namer of the bomb, physicist Robert Serber, who stated he named “Fat Man” such simply because of its shape. Serber also named “Little Boy”, the bomb dropped on Hiroshima. It has been reported that the Nagasaki Fat Man bomb was named for its resemblance to Kasper Gutman from The Maltese Falcon movie.